It's safe to say that I'm more than a little irked about last night's election results. And while I really don't wanna turn into a self-loathing Democrat, it's pretty tough when my beloved blue state has turned red on most electoral maps. However, I refuse to wallow in negativity - I did that all night. 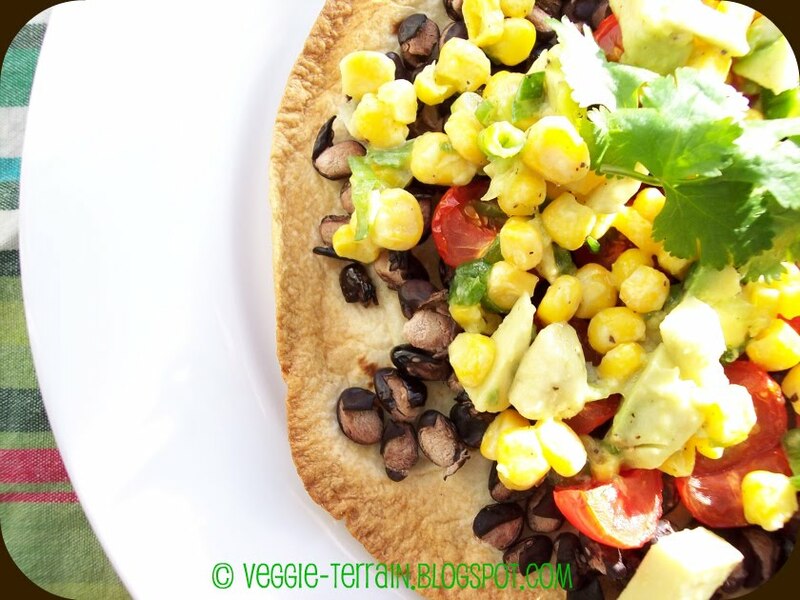 It's time to brighten things up a bit, and to help me do just that, I decided to make one of my favorite quick lunch recipes: Vegan Black Bean Tostadas with Corn Relish. They're super-flavorful, eye-rollingly healthy, and unfairly delicious - without a hint of politics! 1.) Pre-heat oven to 475 degrees. 2.) Combine corn, avocado, lime, & scallions in a small bowl, along with 1 Tbsp. of olive oil & a sprinkle of salt & pepper. Stir & set aside. 3.) Combine tomatoes & jalapeños in a small bowl, stir & set aside. 4.) Place tortillas on two baking sheets. Brush or spray both sides with remaining olive oil or non-stick pray. 5.) Sprinkle tortillas with a few shakes of cumin. Add black beans, & top with tomato mixture. Bake until golden & crisp, approx. 8 mins., being careful not to burn. 6.) Remove from oven & generously top with corn relish & a sprinkle of fresh cilantro. Add salt & pepper, to taste. 7.) Serve immediately - enjoy with both hands & plenty of napkins! Looks and sounds delicious. All of my favorite flavors. I'm pretty disgruntled about the results of the election all around the counrty. I've never seen a prettier tostada. Hooray for corn relish and cilantro! 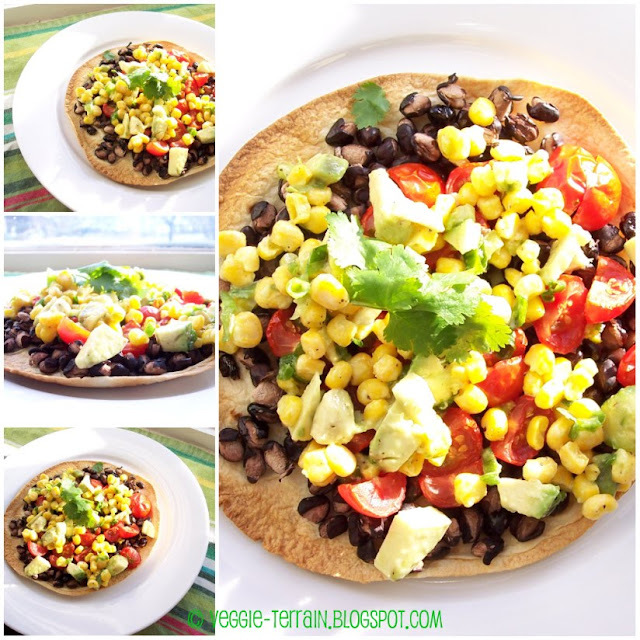 I've never made tostadas but yours are gorgeous, so I might just have to try! I'm a big fan of tostados. Yours are so vibrant looking. I have this intense obession with black beans they are soo delicious. I will definitely have to try this.